This post could be subtitled -- I seriously scored at Safeway today! I had to take Connor to town this morning to work on an Eagle project, then came home to pick my kids up to go work at the food pantry, and THEN I'll have to head back to town to pick Connor back up. I decided that I needed convenience food tonight. 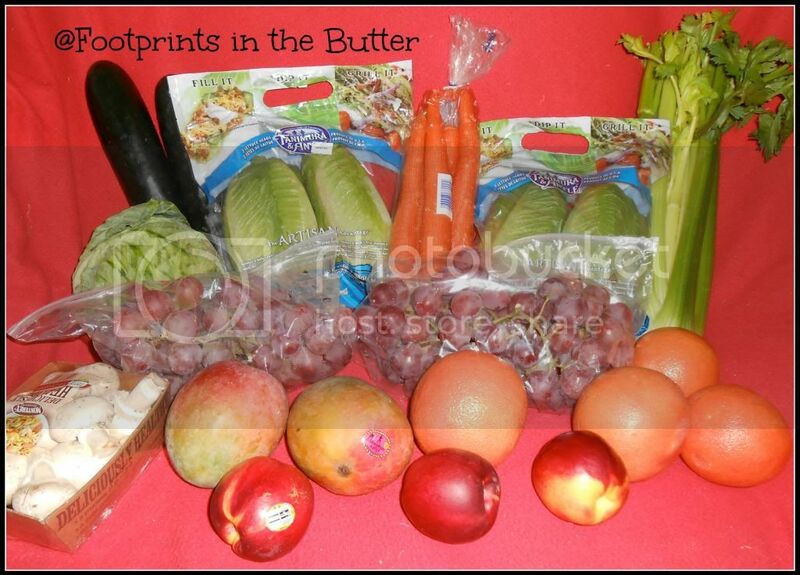 That today would be a good day to splurge on something easy to prepare, and yummy. So I headed to Safeway. I started by getting 18 gallons of gas for $2.43 per gallon (whooo-hoooo!) because I had earned $1 off per gallon. Then I used my Starbucks giftcard to buy a coffee... which gave me a treat receipt, so I can go back and get a $2 beverage when I pick Connor up. And I decided that I was picking up one of the party-size Safeway brand frozen lasagnas. $10. But tonight, it was worth it. While waiting for the coffee, I logged into Safeway's Just 4 U site... where you can add coupons to your Safeway loyalty card. Just in case there was some fabulous deal, like a free something or another. I found a coupon for the party sized frozen meals, making them $8 ($7.99 actually), limit 3. I quickly added that, as I'd much rather pay $2 less. And then I found another coupon good for $5 of a $15 frozen foods purchase. Oh, yeah, added that baby too. So I purchased a lasagna for tonight. A lasagna for the freezer. And it cost me $10.98. I have often confessed on here that I have a whole bunch of geeks in my family. When we were presented with the opportunity to spend a chunk of this summer learning more about computer programming, the answer (of course) was an enthusiastic, "Can we??" So here goes -- my review of TeenCoder C#, a full-year computer programming course for high school students put out by the wonderful folks at Homeschool Programming. He chose Chapter 5: Basic Flow Control, as he says this is where it started to actually get into programming instead of learning about history and various introductory concepts. He started this chapter by reading through the lesson and watching the slide show (the DVD portion) that goes with it. There are four lessons total in this chapter, so he read a lesson/watched the slides daily. He wanted to make sure I knew that the number of lessons does vary though, so in a chapter with five lessons, he'd be doubling up on lessons somewhere in there. After finishing all the lessons in this chapter, he did the activity. Sometimes the final lesson and the activity are basically combined. In this chapter, the activity is "Jeepers, Beepers." My response was pretty much an, "Okaaaaay... just WHAT is that?" Connor patiently explained that you are creating a program using FOR loops and WHILE loops. He seemed to understand what that meant. Can't say I totally do, but I'm certain if I sat down and read the chapter myself, I'd get it. The program does a whole lot of beeping ("Hence the name," said my son) and different buttons make it do different types of beeping. Of course, Connor avoided talking about things like chapter tests <sigh> or anything along those lines, but he is quite excited that he'll be programming a 2-player chess game by the end of this book. And for extra credit (oh, yeah, he's planning that) you can add features like castling, pawn promotion, and checkmate detection. In the early part of the book, it is taking him maybe a 1/2 hour per day, or maybe 2 hours per chapter, to complete the work. That time does increase as you go, and (he wanted me to be sure to point out) he does have some prior computer programming experience. We did try using this program once before, only at that point, the DVDs weren't available, and Connor didn't have any real programming experience. He found the materials to be a bit intimidating then. So his recommendation is that if you've done things like KidCoder, you could start in early high school. Otherwise, you might want to start a bit later. 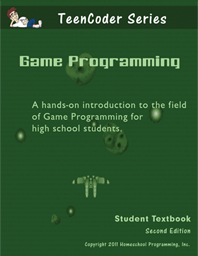 Connor has also looked over the Game Programming books that comprise the second semester of TeenCoder C#. 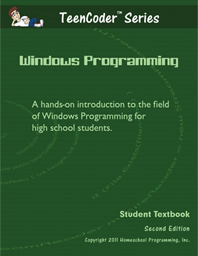 This one has 15 chapters, with the first couple being a bit of review of what was learned in the Windows Programming half. "And then," he says with a lot of excitement, "it starts getting into all kind of stuff dealing with game elements, and I think this material would apply to other game design situations, not just video games." The full year, 1 credit course is available for $155 -- that includes the books and DVDs for both portions of the program. The best part is it is non-consumable, which means that the cost averages out to about $50 per kid if just my big three take it, and only $31 per kid if my little ones can still use it in a few years. Given that they are arguing over who gets to program in Scratch right now, I know they will be interested. Definitely go read some other Crew reviews, as people reviewed all four of the programs that Homeschool Programming offers. William and Thomas are working on KidCoder Visual Basic (for 6th-8th grades, which my boys were when they began), and when they finish that, all four boys are going to do KidCoder Web Design (for grades 4 to 11 in my house, but officially, they say 4th-12th). Connor is very excited to start TeenCoder Java when he completes the C#. And I love that they'll end up with 3 credits of Computer Programming on his transcript. My geeks need that. I'm not sure if I really technically need to include this disclaimer, as I received this product as part of my regular job with TOS, and it was not actually in exchange for writing this review. I just love the product, so I chose to. I'm sorry. Three weeks into this, and I'm already blowing it and not posting when I said I would. So, it is on to Plan B. Let's talk about Richard, my Webelos Scout. Because I have no idea if he will still have a Cub Scout Pack this fall, we are trying to get things done on our own. And one way we worked on his Outdoorsman Badge (required for Arrow of Light) was on the American Heritage Girls camping trip a couple of weeks ago. 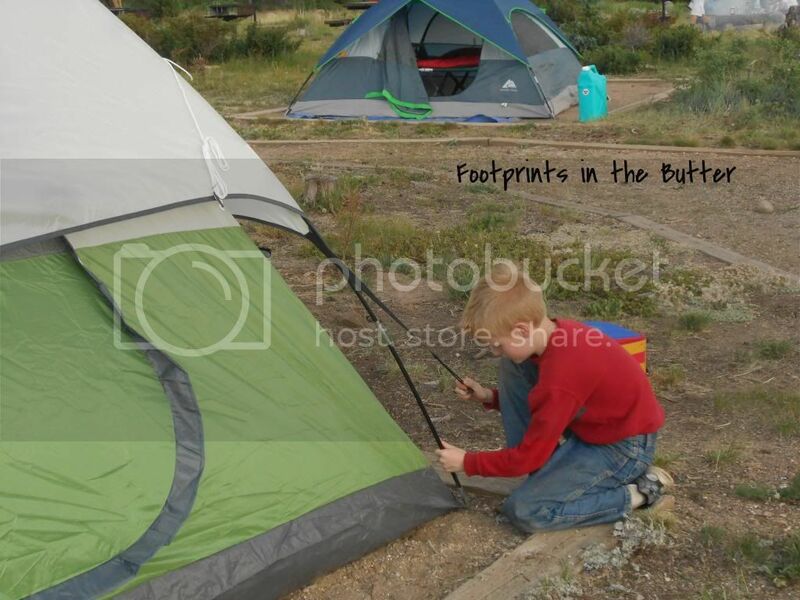 Since Trina is too young to earn the camping badge with AHG (which I think is pretty stupid), she wasn't required to do things like set up the tent. That became Richard's job -- with Connor coaching/helping him to do so. This is part of him doing this requirement: With your parent or guardian, take part in (a Webelos den overnight campout or) a family campout. 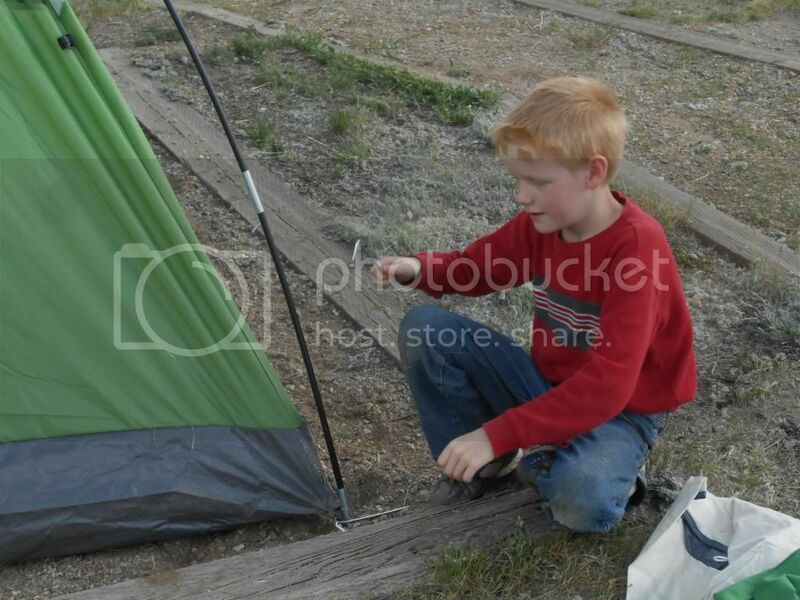 Sleep in a tent that you have helped pitch. 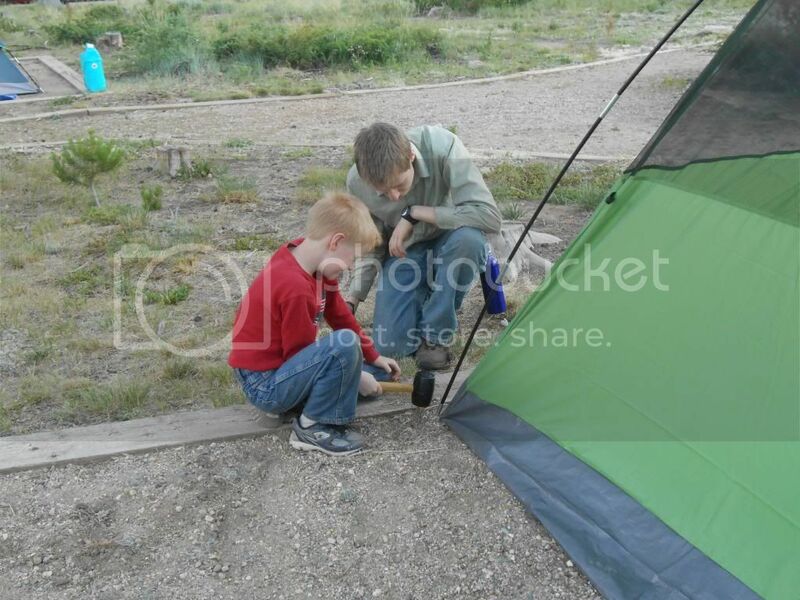 He also was able to do an evening activity that included a campfire. He can't finish earning the badge, however, as most of the requirements involve him doing things with his den. However, he did spend time learning most of the skills needed, such as fire safety, Leave No Trace, etc. The best part, of course, is that *I* didn't have to set up the tent. On a related note, one of the badges that Thomas earned at Summer Camp (and was awarded last night) was the camping one. He's completed a lot of the requirements unofficially, but summer camp is a great opportunity to just demonstrate them all and get the badge earned. Whoo-hooo! Another Eagle-required merit badge down. It is time for another Moms of Master Books review! 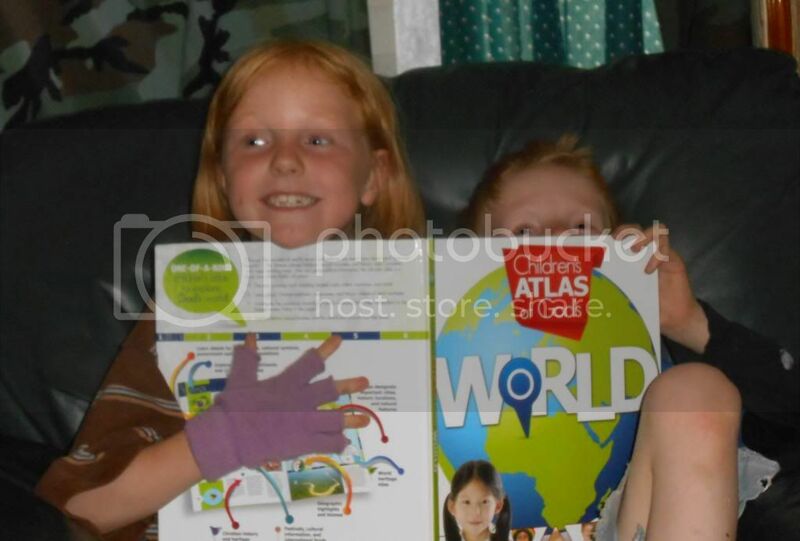 This month, we are reviewing an amazing new book, the Children's Atlas of God's World. This Master Books title, written by Craig Froman, was created in a partnership with My Father's World. Does that photo answer the question? This book is fabulous. The kids (even the big ones, who did not want to be photographed!) loved just looking through the book and just reading a snippet here, or looking at a photo there. I appreciate that this covers every continent, and a smattering of countries for each. In a perfect world, of course, it would cover precisely the countries I want. But if they included Sweden, then Norway would need to go, which would mean that it is lacking for someone who is delighted to have information about Norway. I love that this atlas includes all kinds of information -- maps, photos, information about biomes, animals, all kinds of different places, and it also includes information about Christian History and Tradition. 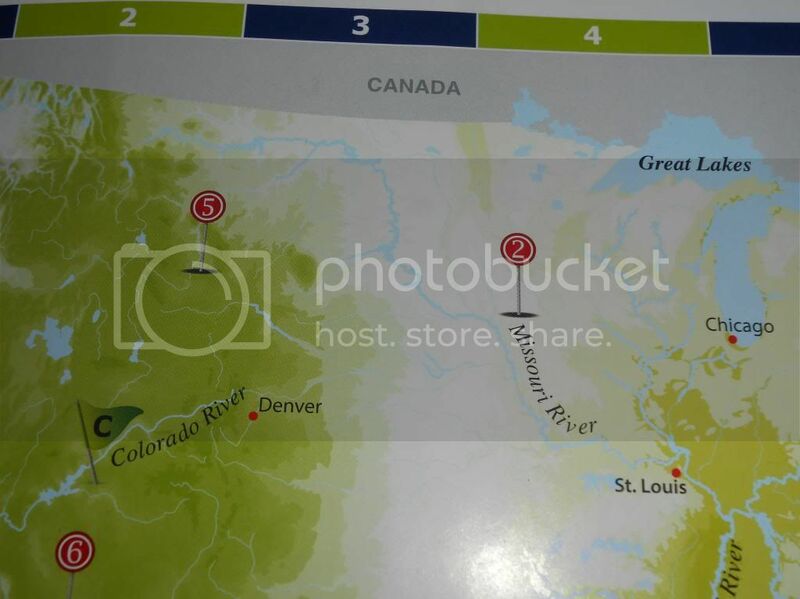 In the Germany pages, for instance, there is the general map info, and all the statistics. Plus there ins a paragraph on the autobahn, Gutenberg, Luther, and Bach on the first two-page spread. The second set incudes lots of photos (a dirndl, Rothenburg, the Black Forest, a Christmas tree, Neuschwanstein, the Rhine Valley, sausages, and a German Shepherd) and information about all of that too, including Biome info on Rivers & Lakes. 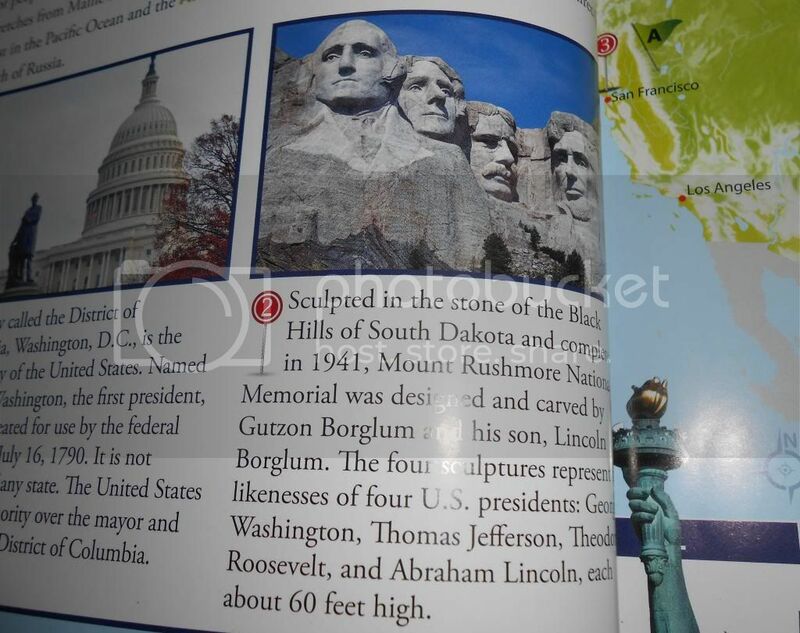 I'll confess that is the only obvious error I've spotted, and I'm sure most people wouldn't notice it (The Black Hills and Mount Rushmore are "somewhere in the middle"), but it was one of the first things I saw in the book, and it screamed out at me. I still highly recommend this book, whether to use as a curriculum item, to just look through randomly, or as a fantastic reference for elementary aged kids. 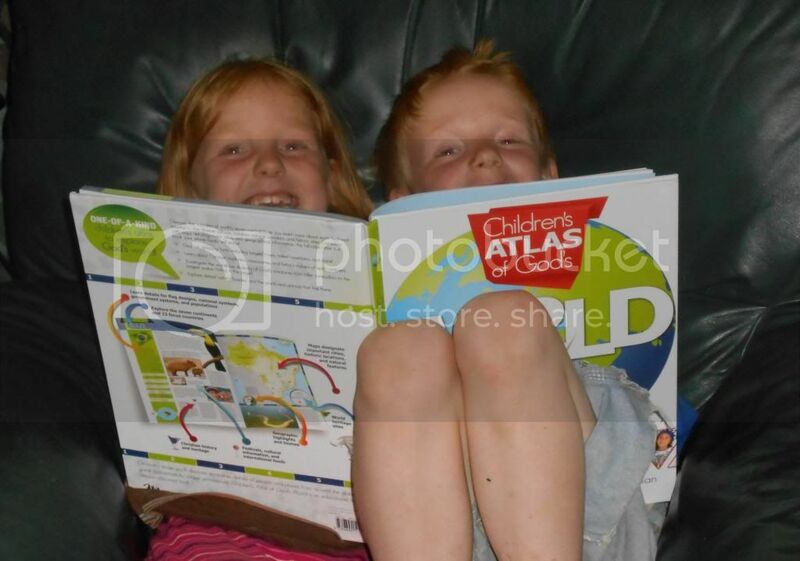 This book is as bright and inviting as other kids' atlas I've seen, with the added bonus of including Christian events and not obsessing about millions of years. 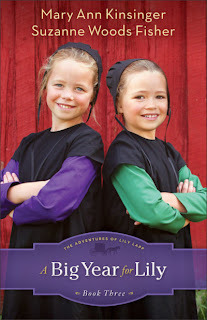 You can go see what other Moms of Master Books have to say about Children's Atlas of God's World! 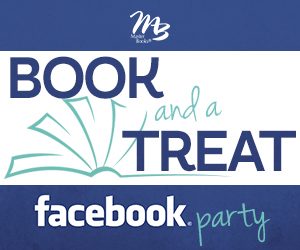 There is a Book and a Treat Facebook party coming up on July 23 (Tuesday) at 9 pm EDT where you could win cool prizes including (I assume) this title, something from Life Source Vitamins (the "treat" sponsor this month), among other things -- and discuss the book. A friend, Cristi, over at Through the Calm and Through the Storm asked me to make this a link-up post, so I am going to do that. It'd be great to see some other ideas of how people are incorporating various Scouting activities into their lives! This week, I'm talking about the Pottery Merit Badge, as all three of my Boy Scouts just earned that one. Our council is doing a monthly Saturday event, and in June, it happened at the Fine Arts Center. The kids could choose from Art, Sculpture, or Pottery. Thomas, with his interest in Archaeology, wanted to do the pottery one, and his brothers thought it sounded fun as well. This merit badge involves reading a bunch about the history of pottery and ceramics, and learning a bit about how it is used today. That is stuff we did here before the class. In class (six hours), they got dirty. Really dirty. They played with clay, and lots of it. They had to work with various techniques, and each kid created a number of different pieces. Those pieces were fired, and the kids got to come back for a couple of hours the next Saturday to glaze their pieces. They were fired again, and just this past week, we were able to go pick up the finished work. Thomas is talented. The other boys did a good job too. The "big" project involved making a slab pot, topped with coils. Then a pinch-pot lid was created, with a sculpted animal. I missed doing Bountiful Baskets last week. I think I have definitely gotten used to this every week thing. What will we do with all of this? All of the fruit will just be eaten. No planning necessary. I may possibly dehydrate the pineapple, but I doubt it. They are pretty green, so we won't be eating them soon. Onions just get used. No special plans. Broccoli-- the kids will have some with ranch dressing, we'll so some sort of broccoli-chicken casserole for lunch this week once or twice, and probably a stir-fry. With red onions. I made some type of a pasta thing with the eggplant last time. I fully intended to write that up, or bookmark it, or something. My family LOVED it. All I remember is eggplant, cottage cheese, and my spaghetti sauce. <sigh> So, I guess I'll look around a bit to see if I can find what I did last time. Not too exciting of plans, huh? 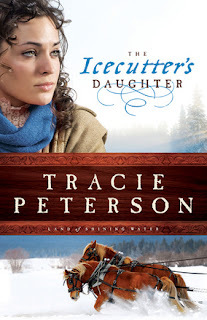 I've had the opportunity to read and now review The Icecutter's Daughter by Tracie Peterson. This book takes place in Minnesota (Waseca) in the late 1890s. I love reading about that time period in the upper midwest, so I had to check out this book. As the lone female in a houseful of men, Merrill Krause dedicates her life to caring for her family and their business, as her dying mother asked. Besides, it suits her; she's never felt like she fits what most people expect in a girl--she'd rather work with her father’s horses and assist with the ice harvest. And though she’s been mostly content up to this point, a part of her wonders if there will ever be anyone who will notice her amid the bevy of brothers determined to protect her from any possible suitors. When Rurik Jorgenson arrives in their small Minnesota town to join his uncle's carpentry business, he soon crosses paths with Merrill. But unlike other men, who are often frightened away by her older brothers, Rurik isn't intimidated by them or by Merrill's strength and lack of femininity. The attraction between them begins to build...until Rurik's former fiance shows up with wild claims that bring serious consequences to Rurik. Can Rurik and Merrill learn to trust God--and each other--when scandal threatens their newfound love? I like my historical fiction to be fairly heavy on the "historical" and very light on the "romance" part of the fiction. Even though I'm not terribly familiar with Waseca (I have been there) or really with southern Minnesota much at all, Tracie Peterson made it feel very real, and everything I do know about that time period in Minnesota suggests that her research was solid. Another draw for me was that Merrill is the youngest child in her family, with four big brothers. In spite of absolutely every description not remotely being like my kids, I couldn't help but see Trina and her four big brothers in all of the family interaction. Another concern I have with Christian fiction is just how preachy it can be. Peterson does a great job of making the faith of the various characters quite important, but not falling into chapter-long sermons or totally unrealistic dialogue. The story was enjoyable and brought up some interesting issues to ponder. Why are we so quick to accept negative stuff we hear about people, even when it is totally out of character for them, without investigating it or <gasp> going and talking to the person involved? I will be watching for more books by Peterson.